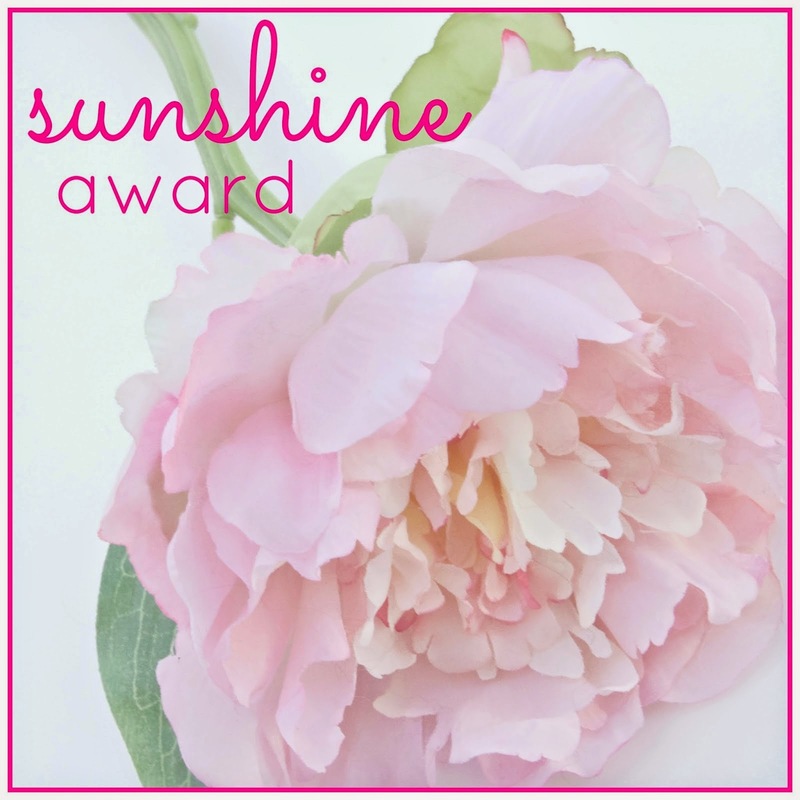 This is my fourth full week of blogging and I've been nominated for the Sunshine Award THREE times! These lovely ladies nominated me: Kelly @ Southern Komfort, Morgan @ The Truelife of KMK, and Cat @ Yes-DEER. Kelly is a sweet ray of sunshine herself; Morgan is a fresh, easy-spirited soul; and Cat is a fun-loving country girl to the core. I'm blessed and honored to have connected with all of you! Thank you for the nomination. - Nominate 11 bloggers to receive the award. - Write 11 questions for those bloggers to answer. - Notify the 11 bloggers that they have been nominated. I have a scarf addiction. I own about 75 (probably more like 100). I can't help myself. I justify it because I'm cold-natured and freeze to death all the time. 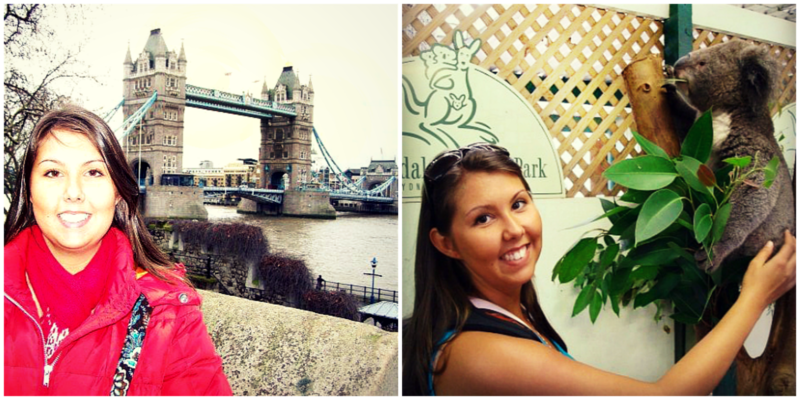 In college, I participated in two 2-week study abroad programs. I went to the United Kingdom and Australia. I got more out of those two trips than all of my classes in college. I have a fear of open water - like large lakes or the ocean. It really freaks me out - I'm scared of getting stuck out there, and the creatures that lurk in the water. Because of this, I have a slight fear of boats, on open water, too. I blame watching the movie "Jaws" at a young age for this. I can't stand to chew gum. Weird, I know. The chomping gives me a headache and I very seldom will ever do it. I've had 19 moles cut off of my body in the past 4 years, including 4 from the bottom of my feet (OUCH). 17 of them were pre-cancerous (the other two were benign). DO NOT LAY IN A TANNING BED. I have PCOS and hypothyroidism. 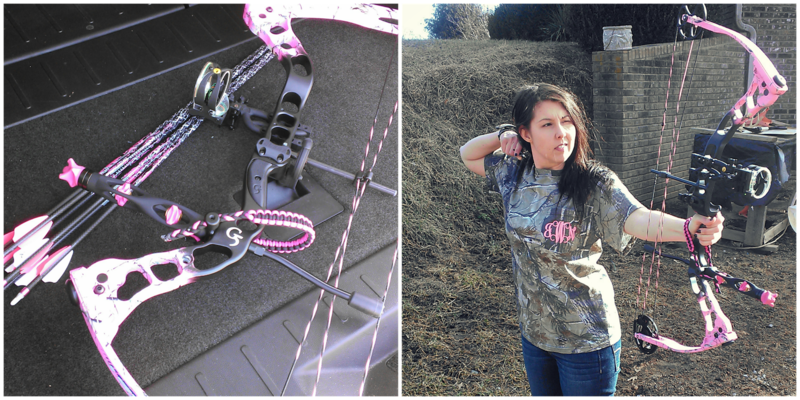 I got a bow last year and plan on bowhunting for the first time this fall (I've only ever used a rifle to hunt in the past). I'm a messy cook. My kitchen is an absolute disaster when I'm done cooking/baking. I totally get consumed by books sometimes. I love reading and if it's a suspenseful, well-written book, I'll spend every minute of my free time reading it until it's finished. I recently read Gillian Flynn's three novels in a week (Gone Girl is one of them), and the Girl With the Dragon Tattoo trilogy in a week and a half. How long have you been blogging and do you see yourself blogging for another year? I just started blogging in June! And yes, if everything continues to go well, I will continue to blog for many years to come. Describe a typical day in your life. Not really a question but curiosity struck! Well, on a typical week day, I wake up at about 6:30, feed my fur-baby (she won't let me do anything else before feeding her), and get ready for work. I arrive at work at 8 and do work things until 5. Then I head back home to either run/workout/play with Lily, cook supper, and catch up on blogging/TV shows. I'm in bed by 10 or 11. Pretty uneventful. What's your favorite type of food and why? Dessert. Chocolate or peanut butter flavors. I have a major sweet-tooth. Can you whistle? I can't, that's why I ask - ha! I can't whistle either! Do you like to read? If so, what's your favorite genre? I'm a total bookworm. I love adventure/suspense/romance/biographies. But honestly, I'll read anything. 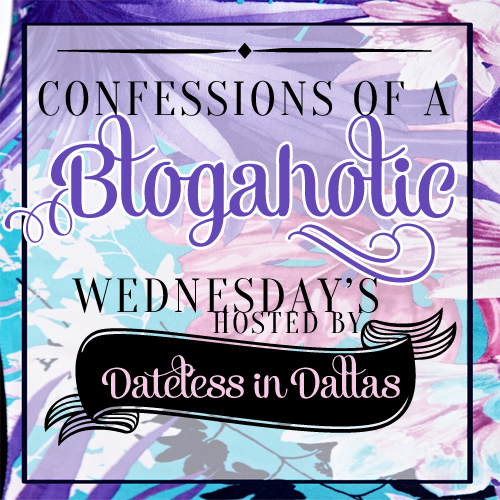 I absolutely love your blog and friendship! This was a freebie :) I'm so glad we connected! I love your blog and friendship too!! If you could travel anywhere in the world, expenses all paid for, where would you go? Italy. I'm dying to go! Who was your first celebrity crush? Tom Cruise. Yeah, he's crazy now, but in the '80s, he had it going on! Top Gun, Cocktail and Risky Business are some of my favs. Why my mother let me watch these movies at a young age, I'll never know. If we were having coffee, what would be your drink of choice? (It doesn't have to be coffee) Strong black coffee with some almond milk. If you could switch shoes with anybody in the world for a day, who would it be and why? Honestly, a man. Any man. Just to see what it's like to think like a man does - and why they're so darn different than us ladies. How much do you love me? Just kidding!! That was a vain question. What's your favorite accessory? Oh, but I do love you, girl! Haha! :-) My fav accessory is a scarf. Favorite candy? It used to be Reese's peanut butter cups. Now I've switched to Justin's organic peanut butter cups. What is your dream place to travel? Italy. I will make it there one day. What is your dream job/goal? My dream job would be to be my own boss, or at least be able to make my own hours. Job specifics don't really matter. Lol. Dog/Cat or Other? Dog, but I love cats too. Favorite form of exercise? Right now I'm loving HIIT workouts involving strength training too. How did you come up with the name of your blog? My parents grow everything imaginable in their large backyard garden, of which I "grocery shop" at often. So I knew I wanted "homegrown" in the name. I just brainstormed until I came up with "State of Mind." Favorite book? I've read soooo many. I finally read the Poisonwood Bible. It's my fav so far this year. Tattoos or nah? I have two. I want more, but I'm indecisive on what to get next. Alcoholic beverage of choice? Wine. Moscato is my favorite, or any sweet wine. Wine slushies too, and sangria. Why did you start your blog? 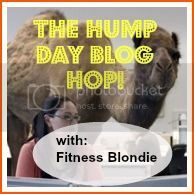 I've been a fan of blogs for years, and I've relied on them for help with my own life, everything from recipes, fitness advice, fashion, health-related, relationship help, etc. I wanted to help others, like so many bloggers have helped me. What is your holy grail beauty product? It's hard to pick just one. Anything NARS. What is your favorite movie? This is a toughie. I'm a big '80s fan - Steel Magnolias, Can't Buy Me Love and Dirty Dancing are some of my favs. What is something you can't be without? Sadly, my cellphone. I feel naked without it. What is your favorite song? Again it's hard to pick just one. Probably Foo Fighters' Everlong and Etta James' At Last. Do you have a pet peeve? If so what is it? I'm not intending to offend anyone, but if you live in the U.S., please learn to speak ENGLISH. I have absolutely nothing against other languages, but I would never move to another country and not learn to speak the native language. Do you have a life verse or favorite quote? What is it? From Edgar Allen Poe's poem A Dream Within A Dream: "All that we see or seem, is but a dream within a dream." The beach or the mountains? BOTH! If you could be anything "when you grow up" or have any job what would it be? I honestly don't know - just to be my own boss. Maybe own a bakery or cute fashion boutique. 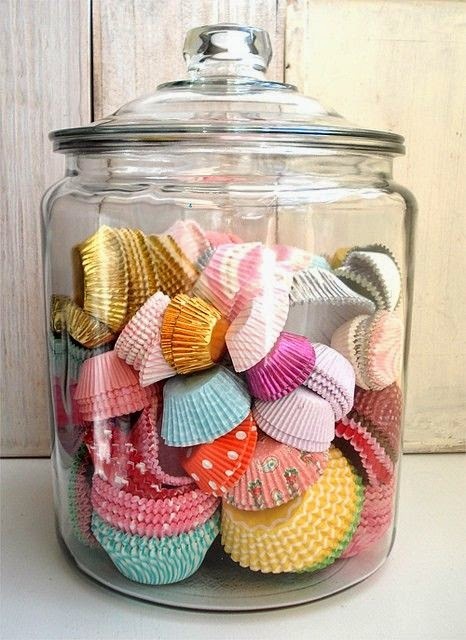 Since I am a Pinterest addict.... What is your favorite pin? Share it with me. This can be a recent favorite or an all time favorite. This pin. It was my first pin ever. Who is your role model? (This can be a a childhood role model or current.) Anyone in my family, really. I have the best family on earth. Do you workout/run/exercise? If so, what do you do regularly? Do you have fur-babies (pets)? Have you ever been fishing? Did you enjoy it? What motivates you to blog consistently? What's your favorite guilty pleasure? Shopping? Chocolate? What's your favorite social media platform? Facebook, Instagram, Twitter, other? I can't wait to read everyone's answers! Yayyyyy!!! I absolutely loved reading all the facts and all of your answers. Honestly, if we lived closer I have no doubt we'd be hitting up the coffee shops before a big hunt, wearing our cute camo scarves of course lol! Congratulations on the award! I have a scarf addiction too. I really love to wear them plus I am always cold. I am so scared of deep water that I never go swimming. So do you shoot at a target or do you go and hunt animals? Wow that is some interesting facts about you. How freaking amazing that you studied abroad twice? WOW! Also, I can't believe that about the moles - 19? AND you have hypothyroidism? Girl you are survivor. I am so inspired. Congratulations to you for all those nominations and thank you for nominating me! This was a great way to get to know you a little more. I'll be sure to answer all the questions too! Thanks for the nomination, Julie! I love reading these things and find out more about fun bloggers :) Looking forward to playing along.